Blog – FOOD IS LIFE! If you can’t stand the heat…..get into the wilderness! – Bushwalking is different to regular walking, as bushwalking exercises muscles you normally don’t use. 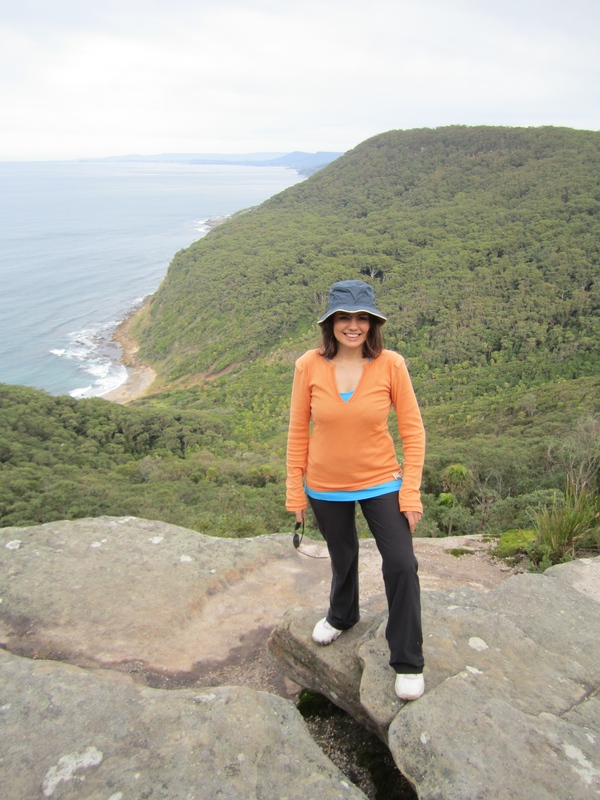 – Bushwalking exercises your core muscles, which helps you stay more balanced and coordinated. – Bushwalking can help control moods, along with moderate feelings of feeling blue. – Walking up hills, mountains and stairs, makes for a great cardiovascular workout. – Bushwalking is a feast for the senses, whereby bushwalking introduces you to different sounds, different smells, different locations, interesting places, different terrain, different species of flowers, plants and many other beautiful things. This can help lift your mood tremendously. – Walking helps you to loose weight and to help keep your overall wellbeing under control. So, if you can’t stand the heat, get out of the kitchen get into the wilderness! Lamb Forequarter Chops with Rosemary, Garlic and Thyme Jus! Remove all the fat from the three lamb forequarter chops, buy chopping it off with a knife. Use a knife to score the surface of the flesh of the three lamb forequarter chops. Place one tablespoon of olive oil in a bowl, along with the three sprigs of thyme, two rosemary sprigs and three garlic cloves. Season all these ingredients with black pepper, then massage all these wonderful ingredients into the beautiful and lean Lamb. Don’t worry if the lamb forequarter chops have fallen apart after removing the fat, as this is what will help make it look nice in the end, as the Lamb will look naturally segmented. Allow all these beautiful flavours to get to know each other for around 2-4 hours. Heat the oven to 220 Degrees Celsius. Boil two small pots of water: one pot for the orange sweet potato and the other pot for the baby carrots. Once the water comes to the boil in both of these pots, place the orange sweet potato in one pot and the baby carrots into the other pot. Cover with lids until water comes to a boil again, then continue to boil both pots for a total time of eight minutes each. Once the eight minutes is over, turn the heat to off. Strain both the orange sweet potato and the baby carrots, then place on a lightly olive-oiled large baking tray. Place your zucchini wedges onto the same tray, along with your baby red capsicum. Place One rosemary sprig in one hand, using your other hand to slide all the rosemary leaves off onto the chopping board. Once on the chopping board, finely chop the rosemary leaves. Sprinkle the finely chopped rosemary leaves all over all the vegetables, then add one tablespoon of olive oil to the vegetables. Massage in gently. Next, you’ll need to heat a medium-sized fry pan, then add one tablespoon of olive oil. When hot, add the lamb, keeping the lamb spread out in the pan. Caramelise the lamb, by keeping the lamb exactly where it is for approximately 2-3 minutes. Turn the lamb to the other side, caramelising the lamb on the other side for 2 minutes, then turn the heat to off. Add this beautifully caramelised lamb to the baking tray, by introducing the lamb and vegetables to one another. Roast all the vegetables and lamb in a 220 Degrees Celsius pre-heated oven, for 15 minutes, allowing them to mingle and flavours to be exchanged. Once 15 minutes are over, turn the heat to off, then lift all the vegetables and lamb onto a plate to relax. Think of it this way, after a huge event, you are soo run-down, you need to relax, right? Well, this is a similar principle. The meat needs to relax, otherwise it will be tough. Add the sherry vinegar to the roasting pan, scraping the caramelised bits from the baking tray and mixing these beautiful flavours into the premature jus. Add the wine and bring to the boil. Simmer for 8-10 minutes, until the colour changes and the jus has reduced a little. When you removed the fat from the three lamb forequarter chops, you would have noticed that some segments of the lamb would have naturally broken away. This is a good thing! This means you don’t need to chop the lamb at all now! Spoon all the vegetables onto the plate, arranging the vegetables to your liking. Now, lay the lamb to rest, either on top, or in front of the vegetables. 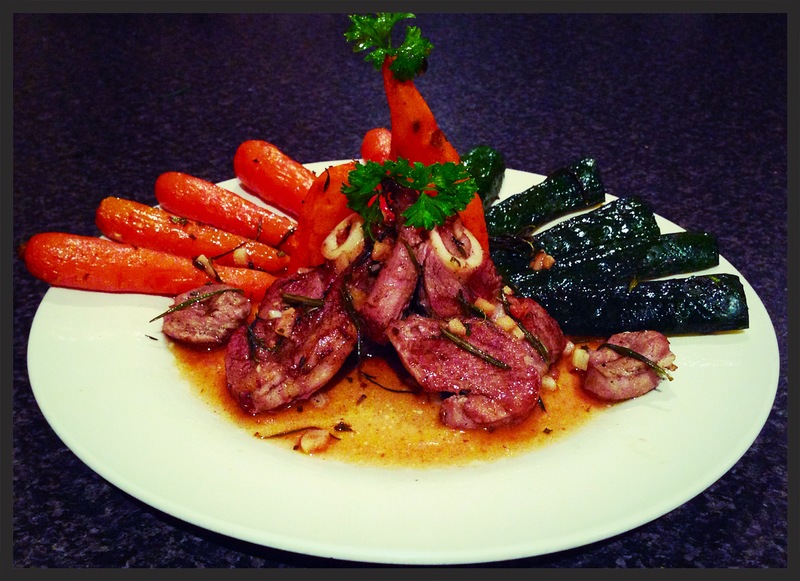 Allow the rosemary, thyme and garlic jus to rain on the vegetables and lamb, until you have a shallow moat on your plate! This moat is the jus, which allows your construction to shine! Enjoy!